It could be a quiet but content month for you, Capricorn. There will be deadlines to be met and you will working astutely to complete projects so you can enjoy the upcoming holidays. Mercury and Venus occupy the sign of Scorpio for most of the month. Scorpio is your 11th House of hopes, wishes, and friendships. Venus (Love) enters Scorpio on 10/9 and stays there through 11/2. Your earthy nature loves the compatible transit so you benefit through the months various transits, Capricorn. Pluto is direct in your 1st House giving you the power in many potential ventures. Make sure you make the right choices during this transit. Attention Capricorn: You are one hot ticket right now with Pluto in your first House of new beginnings, personal appearance and the ability to tear down in order to rebuild. Pluto gives you power in romance as well, so there is the potential to dazzle others right now, personally and otherwise. Pluto in your sign also gives you the added benefit of being stubborn and possessive. Realize that being stubborn is a good thing as long as you remain true to your principals and morals. You are in a power position right now which results in your interactions with others being heartfelt and sincere. You have what it takes to patch up any misunderstandings with others. Suddenly your popularity soars throughout this month. Your inbox is filled to maximum capacity, the phone rings constantly, messages fill up on your cell, life flows socially and you will love the love in the air. Full Moon in Aries on 10/11 impacts your home and family life. You could hear news about your home and relatives on this date. Additionally, your home life could be constant chaotic with everyone coming and going at different hours. You could also be dealing with a parent on this date, Capricorn. Realize that ANY news you hear on this day will be uplifting and deeply gratifying. Take the time to process everything that occurs. 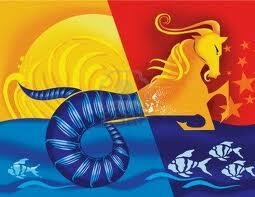 Scorpio is your 11th House of friendships, your hopes and wishes and may even bring an ex love back into the picture. A Scorpio or Sagittarius might play a role. 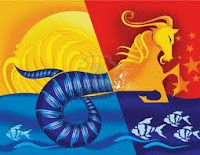 New Moon in Scorpio on 10/26 brings about subjects that are out of the ordinary. Everything from the bizarre to the surreal come front and center. You are prepared however, and you remain assured that you have made the right choices for your present circumstances. See how strong, resilient and slowly but surely powerful you are becoming? You have weathered the losses, the break ups, the make ups and new loves who now hold a permanent place in your heart. Deep subjects, research and other otherworldly topics are explored and/or researched. You might not only make discoveries, you come up with viable answers and solutions to issues which may have stymied you. This is a month to work with the group yet assert your independence at the same time. This might be tricky in some way but you will get to the absolute bottom line this month and make contacts that will prove to be lifelong friends. The signs of Aries, Taurus and a Libra play roles.